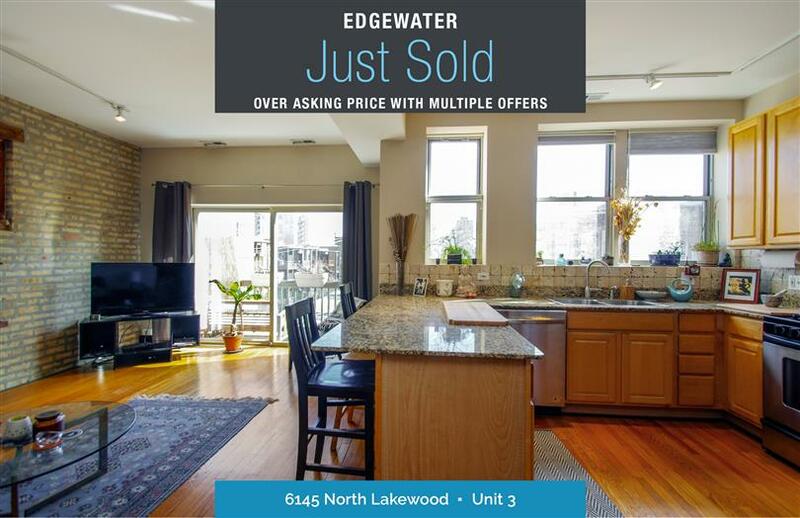 Beautiful, sunny, two-bedroom soft loft in the heart of Edgewater Glen. Corner unit with a huge master bedroom that fits a king and has a sunroom/office too. High ceilings, exposed brick, tons of sunlight, hardwood floors throughout, in-unit laundry, professionally-organized closets, central heat and air, beautiful kitchen with breakfast bar and a fantastic deck off the living room, perfect for lounging and grilling. Storage space and bike room in the basement. Live on a quiet tree-lined street near the lake and walk to great restaurants, Whole Foods and plenty of transportation. Well run association with low assessments! This place can't be beat!